Since finances play into virtually every decision you make, we believe it’s important for us to fully understand your financial motivations, challenges and objectives when helping you determine the best course of action. This heart-centered, holistic approach to finances is different from the industry norm, and it’s proven successful for us for more than 20 years. As an independent firm, we don’t benefit from upselling you on products and services you don’t need. As your trusted partner, we take pride in helping you make the best decisions for financial success. Whatever your vision for the future — we will help you realize it. We’ll be there with you every step of the way, offering support as you identify, pursue and achieve your financial goals. Compassionate values – As an independent firm with an objective viewpoint, we have the freedom to do what is best for you without corporate culture and mandates, and to provide an outstanding level of service at the lowest price. Holistic approach – We’ll help you review the entire scope of your lifestyle and your finances, so you can make the best choices for your situation. Customized experience – Your needs are unique, and so is our method of business. As we get to know you and your goals, we can help design a comprehensive plan that works best for you. Independently operated – With no parent corporation to answer to, we can offer you a comprehensive portfolio of products and services you want from a wide range of companies. Relationship driven – We know that life changes occur, so we offer regular reviews and meetings — from quarterly to annually — depending on your preference. One-stop-shop – As a small agency with big capabilities, we are a one-stop shop for your administrative needs. No more waiting on hold to speak to an actual person. No more researching and managing your own investments. No more wading through industry jargon to get the answers you need. Call us and we’ll take care of it. I strive for maximum integrity in my desire to help clients create wealth through investment planning and tracking, which has inspired me to develop skills to serve you well. I joined Triangle Financial in 2005, and purchased the firm in 2007. As a 2002 graduate of Iowa State University, I previously put my management skills to work at Principal Financial Group. Fully licensed in securities and licensed in life, health and long-term care insurance, I am a two-time achiever of Captain’s Club status from Harbour Investments, Inc. I grew up in the Iowa City area and currently reside in the Des Moines metro, along with my husband and two daughters. I enjoy spending time practicing yoga, biking and being in nature with my family and friends. I am active in the National Association of Women Business Owners, Girl Scouts of Greater Iowa, and the Hanawalt PTA. Striving to bring a holistic approach to small businesses, I support our clients by advising on employee benefits, including retirement plans and group insurance. We believe our mindful approach will help guide and support small business owners in the growth of their own businesses. 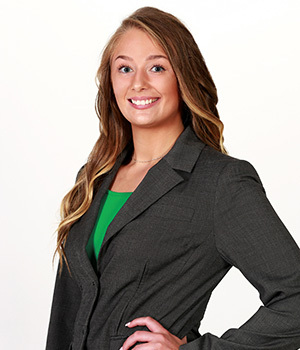 I joined Triangle Financial Services in August 2009, shortly after graduating from Iowa State University with a major in family finance, housing and policy. I completed my Masters of Financial Management degree at Drake University in December 2014, and am fully licensed in securities and life and health insurance. I was Triangle’s resident para-planner for eight years, helping prepare all the details for client reviews. I grew up in Northeast Iowa and currently live in West Des Moines. I married my husband, Dan, in 2009. We have a son and daughter. In my free time, I enjoy cooking, spending time with friends and family and reading. I am also involved with BNI. As an experienced investment professional, I partner with individuals and charitable organizations to provide comprehensive investment management and customized services to grow and preserve their assets. I graduated from the University of Iowa in 1999 with a Bachelor of Business Administration degree in Finance. Before joining Triangle Financial Services, I worked as a Trader for Wells Fargo in San Francisco and for the Federal Home Loan Bank of Des Moines, and most recently as Senior Investment Analyst for the Grinnell College Investment Office. I currently serve as President of the Greater Poweshiek Community Foundation Board of Directors, as a board member of the Grinnell Regional Medical Center Foundation and am active in various community and school initiatives. My husband Troy and I live in Grinnell with our two children. Advisory Services offered through Harbour Investments, Inc. I have an unwavering passion to help others and a strong drive to accomplish tasks, so I’m happy to support the advisors and clients of Triangle Financial. I earned my associate’s degree in business administration while working full time to help home mortgage customers recover after financial hardships. I am currently a full-time student at Colorado Technical University pursuing my bachelor’s degree in finance, with the goal of becoming a financial advisor. As a home-grown Iowa girl, I have developed a compelling sense of family values, but also a desire for progress and change. My leisure time is spent outdoors with my friends, loved ones and pets. Giving back to the community is just another way we stay true to our philosophy of offering a heart-centered, holistic approach to wealth. As a firm, we uplift women and girls through financial literacy education and counseling. We meet these individuals where they are without judgment, opening them up to the possibility of a financially sound foundation in their lives. We have been volunteering with the Girl Scouts since 2010 and hosting Scout Night during Money Smart Week to help girls earn their financial literacy badges. Kendra gives her time teaching a financial literacy lesson to Daisy and Brownie Troops. Lindsey volunteers for the Iowa Center for Economic Success. 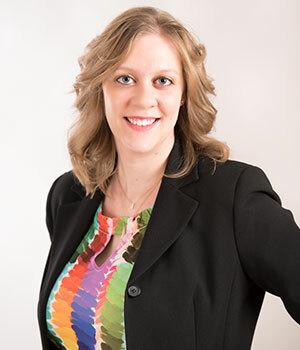 Jessica serves on the Grinnell Regional Medical Center Foundation Board of Directors and Greater Poweshiek Community Foundation Board as the President. We are members of the JumpStart coalition which strive to educate and prepare our nation’s youth for lifelong financial success. Giving back is a driving force behind what we do as financial advisors, and we take pride in offering our time, talent and resources to make our community stronger.